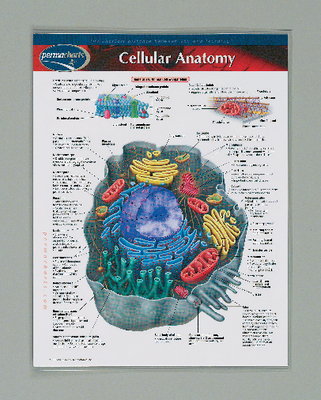 Introduce your students to cellular anatomy with this vivid, full-color, two-sided chart. One side depicts the richly detailed, inner structure of a plant cell and organelles, while the other is a generalized animal cell with organelles. The result of extensive research from multiple sources, each component is clearly labeled. The animal cell side features plasma membrane, nuclear envelope, and cytoskeleton details. This quick reference chart is laminated for durability and protection against spills and other damage.